The pack had remained within the confines of the north for sometime and finally the pack started off further north, to follow the instructions given by Calder to head to the Mykeer where it was told their missing Alphess was. 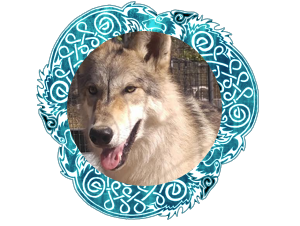 A new male wolf had come upon the pack by the name of Kyseran. Nightshade had also managed to catch up with the pack and now joins them in their temporary move. * Ayaka would ease a bit as Kyseran cowered, the pose one that indicated he didn’t wish to fight them. She caught Kova and Kajika’s scent mingling with the brutes own, which lended a hand in her hackles lowering some, her muzzle closing over her teeth as she settled into a slightly more relaxed frame. The shift would be only subtle however, and she would consider the group, nodding to Kova before looking at Kyseran * Ayaka again. “I see.. one can never be too careful in the wild. I’m sure you will understand our caution. There are games afoot that are mysterious even now. Trust must be earned. 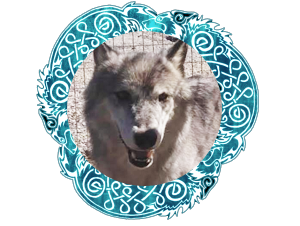 I am Ayaka, member of wolfspirits.” She conceded her name, venturing the token of peace to Kyseran for the time being before looking around to the others. “It is time to move on.” She added to them all. “Shukie has bade me to lead you onward, as she takes Kwa`ani on a more… covert approach on Calder’s assumed position, based on Fianna’s report. She waited to see if anyone had questions or anything to say, reaching forward to nuzzle her sister in a fond greeting. She was glad the fae had been there to greet the stranger, as well keep an eye on him. * Kova would perk her ears to her sisters words and would offer a wave of her tail. She held a great deal of confidence in her sisters ability to lead them on further. She thought that their mission would be interesting but wouldn’t question it. ‘I am ready’ she offered up to Ayaka as well to anyone else who was within earshot. * Darth would look up to Ayaka and turn around ready to move at the word. He looked around as everyone started to get ready and looked back up to Ayaka. “I’m ready whenever every other member is.” He said aloud. He knew that they have probably stayed in this spot for longer than they should have.. He would nuzzle Nightshade once more; “Ready to continue the adventure?” He asked with a chuckle. * Nightshade weakened, the rest will take care of her. * skydancer “sure thing ayaka I was starting to grow roots over here anyway. ready when you guys are.” she. response to the larger fea bit of information. * Darth would look around for his sister, but couldn’t see her in his brief search. He could only hope that she was awake and ready to continue on. 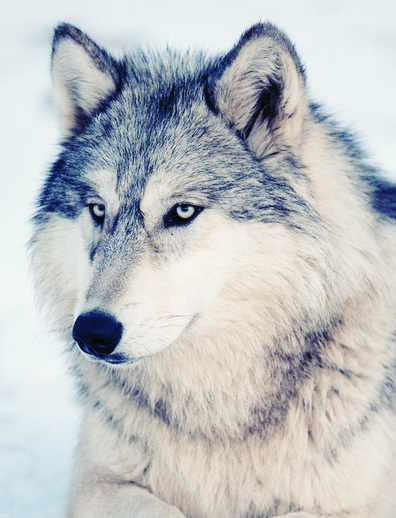 * Kova would look to the gathered wolves and would dip her head. There where at least two more than before and she was glad for the company for the most part but she would remain skeptical of Kyseran for a little while. Only until he could prove he meant no harm and did desire to join the pack. Especially during this time of the season she had her reasons to be skeptical. She did worry for Fianna’s wellbeing and would no doubt keep an eye on her as well but was glad to see that she looked to be in better spirits than before. Healing wise! * Kyseran looks up at Ayaka not moving from his position out of fear. “Is it okay for me to tag along? I have nowhere else to go.” He asks, he was afraid that Ayaka would reject him like the other packs he met. * Kajika turned his head as he heard the sound of snow scuffled and turned his head over his shoulder to see Sky as she woke up from what looked like it could have been a bad dream, but would turn his attention to Ayaka as she spoke. At Shukie’s name, he would flick his ear when he noticed that she wasn’t there among them but was sure that she would catch up in time. He didn’t have any questions for once, or if he had, he kept them to himself, trusting that they would sort themselves out soon enough. As everyone voiced their readiness to move forward, and would silently go to get his bundle of leaves that was growing smaller and smaller as one of his tasks while awake but not doing anything had just been picking through the leaves and bark to see if anything had lost its use. He’d return a moment later and offer a silent nod of his head in Ayaka’s direction. On his way to get the bundle, something did come to mind that he noticed they had done before and put the bundle down hesitantly to ask her. “Will we be walking in any particular order like we were last time? I’ll volunteer to push my way through the snow just like I did on our journey out here.” He offered. <Calder> Would continue to watch the wolves as they moved about but all of them seemed to be in the mindset of something. Where they finally moving? Oh good! He thought before he too rose to all fours and there would wait for them to start off before he would make his move. * Kova an ear turned towards Kyseran and his request and would then look to Ayaka, curious now of her response. 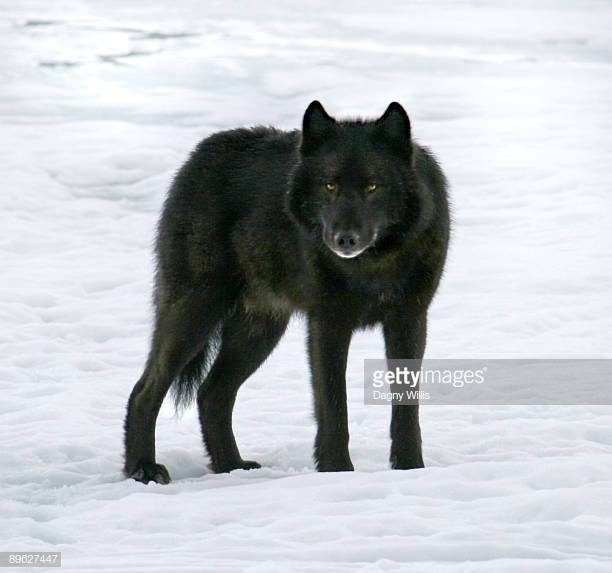 so far the male had given her no issues nor any reason to question his presence there but he was after all still new and like all the other wolves would have to get used to the pack and family he desired to join. It was a process but for her, well worth it. This pack and family was worth it. With her own order given in line she gave a firm nod of her head understanding her role for now and promptly turned on lithe white paws and started off towards the back of the group. Once there she would wait paitently for them to start moving again. * Kyseran nods. “Thank you Ayaka, I’m not that strong, but if you need anything, I am willing to help.” He gets up slowly, and gets ready for the trek. Smiling to himself, grateful that he might have a pack to call home. * Darth nodded his head to Ayaka in understanding. He looked to his sister as she chuffed towards him as he got into his assigned position. * skydancer dips her muzzle not having expected anything else and starts moving away toward where sfiannas description tells them to go atleast the snow seems a little sturdier though that can just be e imgintion . * kamaitachi larcom would wake up stiff and would notice that the pack was moving off not wanting to be left behind she slowly stood up that it a ways behind them as a move. <Nighshade> “H..hello. sorry I popped in between. Im” She asked while she kept a distance and whispered at Darth ” who is that?” Her tail wagged of excitement yet also from nervousness. * Kajika picked up his bundle and nodded as he understood where he would be positioned in this wolfy column and moved to take up that spot on the right. He himself would have nothing to say to Calder if they came across him. He would glance back over his shoulder to check to see that the group was ready before they would head out. The area around where they chose to settle now was imprinted in the snow as their tracks led in and out of their little hiding place, so the first few steps would be the easiest of the evening with little to do besides pad on. * Nighshade “H..hello. sorry I popped in between. Im Nighshade a lost pledge who are you?” She asked while she kept a distance and whispered at Darth ” who is that?” Her tail wagged of excitement yet also from nervousness. 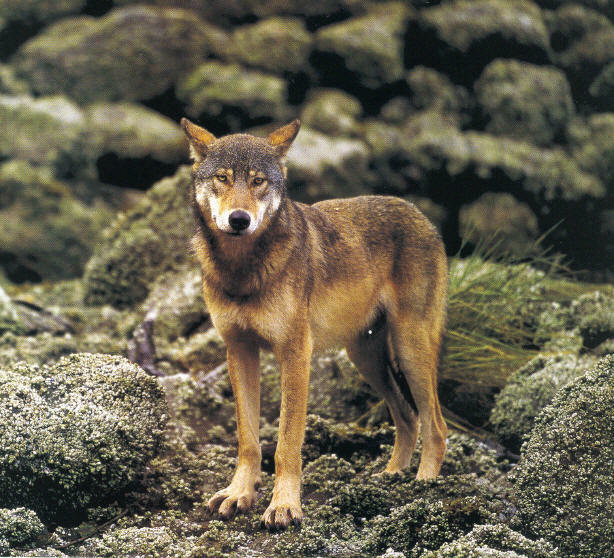 The wolves would start to march off towards the northern territory beyond the pack’s own. It would be a bitter cold out in the open as the snow and cold still very much clung on to this part of the world. Little did the pack know there where several eyes upon them, not just belonging to Calder and other new wolves. The open expanse would call to them as the pack began to move. * Darth would look to Nghtshade and chuckle; “That is my sister, Kamaitachi; don’t worry, here bark is worse than her bite.” He said to her before allowing Kamaitachi to introduce herself further if she wanted. * Fianna would flick her ears at Ayaka’s warning, but lowered her head a fraction in acquiescence. She would take precautions, though her instincts bade her follow Calder, to seek out the answers to the mysteries he offered. But she had her mother’s blood, and the widsom gained from life among her pack. She would take care. With this in mind she moved into line and padded quietly along, listening to the others as they talked quietly. She took measure of her injury and found movement much easier now, onlt a slight hitch in her step signaling the tightness that still clung to her injured ribs. The horrid and itchy ache had lessened a good deal, leaving her mind more free to wander. She was grateful still for those ahead who broke trail, for bounding through the snows still sounded painful. Unaware of the eyes upon their group, she found her mind continually going back to a certain mysterious frame and eyes that knew too much. * Ayaka payment for us to find Atraya or even cross his lands?” This had become her worry.. for she knew Fianna would take such measures if she thought it would help her mother. The pack needed to find the alphess, but not at the cost of Fianna being in danger. But what if her safety were somehow guaranteed? In any case, nothing was certain, and Calder presented a mystery for sure. * skydancer moves along sometimes having to bound to get through some deeper snow though not so much that she feels the other,ll have trouble with it. although she keeps her nose in the wind and often pauses to listen she cant detect anything out of place.not that she is about to let the flat area lul her into complacency too much is at stake. * Nighshade looked back at darths sister and respond “nice to meet you.” And stared forward to the rest of the pack, hoping we aren’t blindly following that calder and not simply assuming he would make his words true. Strangers aren’t trusting. He’s sure no good if he’s a trickster, seeing how Fianna is eager for answers, she was worried about how this will end. ” I hope that we have a back-up if calder picks on of us for him* Nighshade alone” she called forward to the rest. <Calder> When the pack began to make their move he would have waited a moment longer before promptly following after them. HIs eyes narrowed as he would eye the new male among them and seemingly now “More” of them joining the ranks. Well this would no doubt complicate things but he didn’t make it this far to fail now. Fail he would not. Quietly he would follow now behind the wolves in their very tracks staying at least a mile behind and using what cover he could. 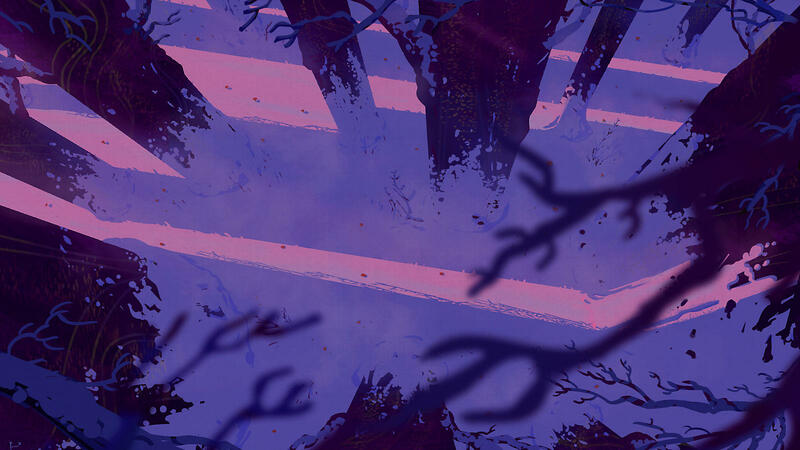 * Kajika would focus on what path lay before him as he started along. Some of the words of the others would reach his ears but he made no acknowledgement of hearing them and didn’t know what to say to ease their uncertainty. It wouldn’t take long before they were out in the open and he found himself looking beyond what he had normally seen as he busied himself with keeping his muzzle up and out of the snow that his chest heaved out of the way for those behind him. He wouldn’t be too far from Sky which would hopefully leave snow weak enough in the middle of the two of them to be broken easily. The sense of traveling and a journey seemed to be ahead of him and he took in a lungful of air and couldn’t imagine what would stand in their way now. * Darth would look to Nightshade and smile; “I would certainly hope that the leads would have other contingent plans and not be leading us to a close end ordeal.” He said with a slight chuckle. He looked to his sister and made sure that she was alright before taking a look around to make sure the rest of the group was well. 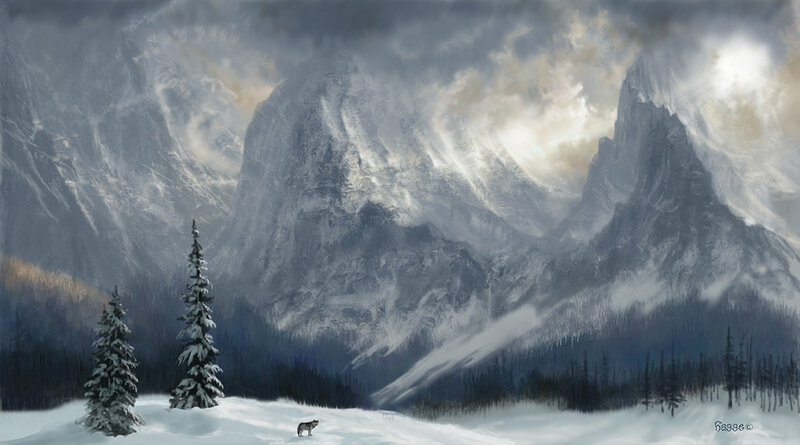 As the wolves would traverse the expansive landscape they would find the chill of winter still clinging well to this place. There wasn’t much in the way of life but there where tracks that lead every which direction once they reached the middle of this wide open expanse. Clearly wildlife used this as a makeshift highway but all the tracks would divert in every direction except in the direction of the WolfSpirits territory. As if there was some unforseen barrier there. Will the pack keep going? Or stop to investigate? * Fianna would have heard snatches of Kova and Ayaka’s conversation about her and Calder and mother. She felt her heart squeeze a bit at the difficult choices ahead, for her and for the pack. She had a duty to her pack, she knew, and she had a strong loyalty to each of them. Yet her mother, her father, her brother… they werr blood. What would she do if she could help them at the expense of disobeying a pack order? Hopefully she wouldn’t have to decide that. Hopefully her loyalties were not tested. She shuddered inwardly at the idea, angry suddenly at Calder for asking her to come alone. What was his game anyway? She snorted, sending a flurry of snow around her paws. Yet she still was intrigued by him. He would not hold sway over her loyalties though, she could not let such a thing be. * Kova would dip her head to Ayaka sharing the same sentiments. She would watch her make her way along the line now as she would start to greet all the others. She would remain in the back and every now and then she stopped and looked over her shoulder for any ‘wandering’ males that tried to track or trail behind them. She was on to Calder, at least she thought she was. When Ayaka would find the trail ahead she would watch with curious hues as she too came to a slow stop to investigate the ones near to her. 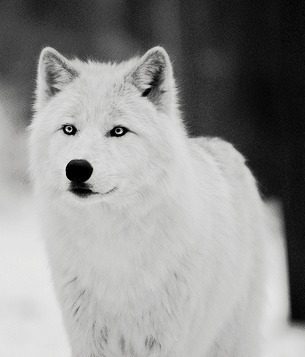 <Calder> As the wolves continued on the path ahead he would smile as he took note of their direction. It seems they where going in the right one for now and he would be content in watching with his deep, piercing amber hues. He continued to keep up the pace of following well behind all the others. What the pack didn’t know was there where more eyes upon them then just his. * Kajika glanced over at Sky as she had to take a little detour around a small mound of snow that rivaled her in height, no doubt piled up from the winds building up snow in this particular spot just like anywhere else. He heard the sound of approaching paw steps and turned to see Ayaka approaching him and her words were spoken in a thankful tone and he smiled and tried to reply around the charge he carried in his muzzle. He wasn’t sure what words would make it across, but he hoped that the kindness could be felt as he would try to nose her back before she turned to Sky with a similar thanks. As Sky would come to a short stop, he would only continue to walk up to her and wouldn’t move ahead. He had noticed some of the tracks but it seemed like the more they continued, the more it seemed to follow a pattern almost of not just the meander of a herd but almost the intent of a predator perhaps? He would try to sniff the closest set of tracks but the action was almost as good as tasting the tracks and guessing what they could have been because of the challenge that it was to smell anything besides the strong scent of mint present on a few of the leaves and bark in his jaws, even if only a leaf or two was all that remained of the strong-smelling herbs. But maybe the size of the tracks would give him a hint as to what it was? * Darth would be continuing to follow Skydancer and Kajika wherever they would lead. He trusted the two of them as well as the other members to go where they needed to be. * Nighshade pace went a bit slower, this was the first big walk for her. Trying to catch up with the pack she trots a bit faster. “Any idea how long it takes?” She asked impatient and chuffeds. She was truly amazed by the surrounding and got distracted. As the wolves decide to press on they would find that the world around them was starting to fall into beautiful golden yellow, orange and bright pink hues as the sun started to fall behind the tall Rogah’s. They would slowly find their way closer and closer to the opposing mountain ranges and start to make an incline along a wide open path that started to narrow back into the woods. The trees would be dusted with beautiful strips of snow as well as even some colors of spring starting to poke through thinner portions of winter. All within eye’s reach and distance as well. They where getting close to the forests edge. * Nighshade “I’m fine” was she responded to ayaka as she pulled up herself to hold on. A beautiful horizon was filled with a orange pink sky, it almost looked it was on fire ” wow.. it looks like a fire” she was impressed by everything she saw now. In the distance were some trees getting visible but realizing that it’s not near enough yet. She tries to stay with the pack aslong it’s possible, “aslong we’re near enough by some. I will take a rest for a while. No worries ” she huffed and continues her way, something made felt her uneasy.. were they being watched? Looking around to see if there are any things.. She wouldn’t see anything. “Hmmm..” was her response. 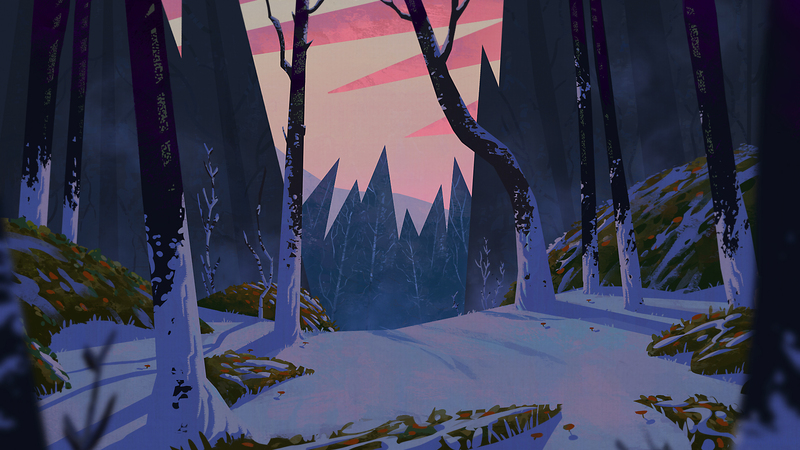 * Fianna would continue on, quietly, inhaling the sharp scents of the crisp air, and watching the tracks as they passed by. She saw the beautiful colors on the horizon, and wondered if Atraya were watching it as well. “Hold on mother.” She whispered softly. She felt her side growing a bit sore from the quickened pace, but found she was able to maintain it without feeling as if any damage would be done. She was glad for the movement, hoping each mile would bring her closer to rescuing Atraya. * Kova would continue only after the pack had moved on. She would keep looking behind her as she would listen intently to the winds and world around her but she couldn’t help but be humbled by the sky and it’s changing colors. She would look to Fianna now and think quietly up on her future as well as all the rest of theirs. * Kajika his eyes when it hit the trees, making everything appear a bright shade of orange and the snow underpaw even moreso. The tracks didn’t spook him, but he would look out for anything similar moving forward, at least as they continued traveling for the night. He would also start to look over his shoulder when they reached the treeline to make sure that he maintained visibility with even those in the back. Would accomplish this by making several bounds forward and then turned to look behind as well as around him and would wait for them to catch up. He wasn’t rushing them by doing this he hoped, but he would be able to see around the group instead of relying on multitasking of both taking in their surroundings as they moved. <Calder> He continued to follow after the traveling pack, his eyes narrowed upon the horizon as he took all the details in. The light was starting to dim and offer beautiful warm colors across the sky. He would smile knowing what the night held out in this distance and would start to slow his pace considerably. 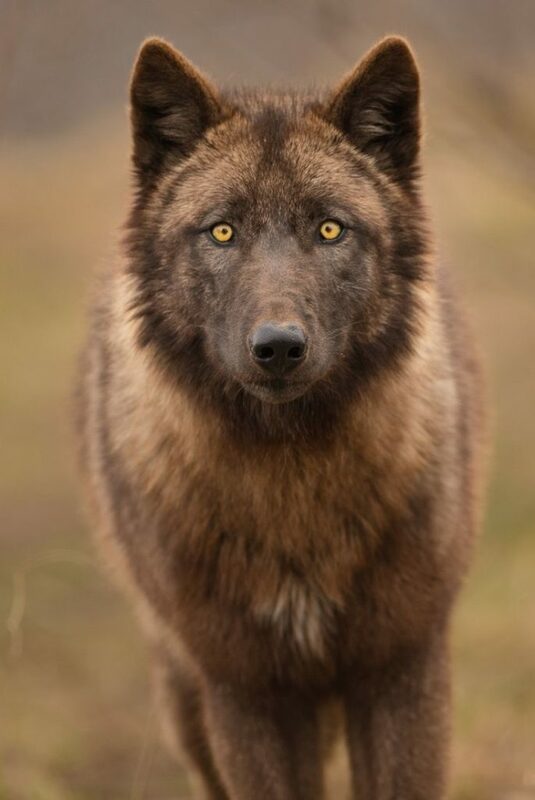 When he noted all the other wolves began to ascend into the forest he would pause his own path yet again and start to move towards the east now from the rest of the pack. * Fianna felt herself ease slightly as they began to be surrounded by trees once more, though that held its own hazards if not being able to see as far, she also felt shielded somewhat from so man unknown eyes. She glanced over her shoulder at Kova, reassured the fae was nearby, as well as those ahead of her. They were a pack. They would meet any challenge. 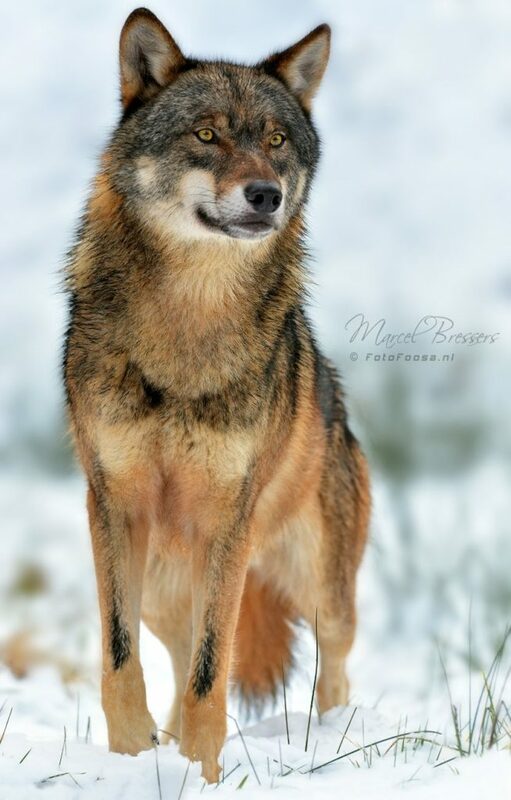 * Ayaka would urge the others to continue on, seeing some looking tired, but she wanted to get a bit further, and she would brush her muzzle along shoulders and offer encouragement when necessary, all the while glancing around and remaining watchful. She kept an eye on skydancer and Kajika should they notice anything out of the ordinary, and continued on deeper into the forest, still following what seemed to be a fair size path. * skydancer jogs along head up and alert while knowing she opens herself up for ambuah and thus constantly returns. to within sight of the pack before turninf bacj around and scouting the next part of their trail. if anythinf for her to find. shell find it before the trouble finds her pack.hopefully..
One by one the wolves would continue to press through the forest and tall woods over head. The light began to filter behind them but slowly started to wither into darkness. Ayaka would find there was nothing unusual or out of the ordinary in this part of the woods, at least not until they started to find themselves deeper in the woods. As the woods began to fill with the void of darkness as nighttime began to descend upon the wolves, there was a new hue of color that began to strike across the landscape. Beautiful hues of greens and blues started to streak against the woods and landscape with ease and beauty. The illumination was like no other out here, even with the tree’s, it would be beautiful. Aurora’s over head would flicker and start to come to life and turn the world of white and pink to those striking colors of blue and teal. The resounding caws of crows would no doubt take the wolves attention momentarily as the woods began to become thicker and no longer at the mercy of the wide open spaces. Fianna might find that these very woods almost started to resemble her birth den site. * Kajika would set the bundle down at his paws just to give his jaws a break for a moment when he was ahead. He thought from any other perspective, he looked like an excited pup as he would bound forward and turn to wait. His tail wasn’t wagging like a pup’s might, but it wouldn’t have been completely still even if the wind didn’t play a part in blowing through the fur there. He would see Sky returning from off the side of the trail that he was leading them through and figured that she was scouting out areas not just straight ahead but off to the side. As the trees would enclose them in what seemed like safety, it could also hide the eyes of any number of creatures that hid downwind if left unchecked. And Ayaka made her way through and around the group herself which was the only reason he wasn’t doing so himself. He tried to fight back the feeling of overconfidence, but it didn’t look like anything would be sneaking up on them tonight. He would sometimes also get distracted momentarily by the lights that he first noticed to be unnatural on any normal evening. But taking the time to look up, he would see the lights surely dancing across the sky and he would stop in his tracks for a moment. He had only seen this occur maybe once? Or had he imagined it in dreams as he was certainly told stories about it as a pup? It was hard to tell as the spectacle seemed to be woven into a dream itself. * Kova would give a knowing nod towards Fianna understanding well her worry for her alpha and as well her mother “I am sure she is fine Fianna. Your mother is strong… just like you are” she smiled and nosed the fae “You remind me a lot like her.” she tried to offer her some comfort and momentarily glanced up towards the horizon and the colors in the sky. ‘Oh wow..’ she whispered. * Ayaka ‘s gaze would be drawn from the trees and snow to the sky, the horizon, and the beautiful green dancing of light that was on display. Her paws would slow as it began, and she felt the awe and wonder of it all within her. She glanced back to the others, counting, making sure all were there even as she watched them all notice the lights as well. “Its beautiful” she said, softly, but enough so that those around her could hear. Kajika seemed caught up in it for a moment and she could understand why. “A bit further now..” she added, keeping them on task, for they didn’t want to be caught unawares still. The path north would continue to stretch and they had to wind a bit around some trees until it straightened out again, enclosed now among the forest. The lights lit the scene, casting its glow on snow, trees, and fur alike. Eventually, a break in the trees ahead became apparent, and Ayaka would murmur for the group to slow a bit, moving forward with caution. * Fianna would indeed feel her heart swell a bit at Kova’s words. She wanted so to be like Atraya, the strong leader of her pack. It was a great compliment. Fianna too would catch her breath at the sight of the beautiful lights, movinf gracefully beyond and around them, through the trees. “Its…” she’d seen the lights before, but it felt… closer now. “Its amazing.” The snow was not as deep here under the canopy of trees and it allowed for her to walk more along with everyone else, the trail not needing to be broken. However she was mindful of Shukie and Ayaka’s warnings and hung back from the front. What would be ahead? As the wolves continued along the chosen path through the woods, they would find that there would be a nice little spot that was open enough to provide them some space but also, enclosed to feel safe. The sky over head would still continue to glimmer with the beautiful colors of the aurora’s. The little clearing up ahead would no doubt provide a nice resting spot for the pack if they choose to stay here for the evening. The trees would cast a nice shadow across the little clearing so that sneaking upon them would be difficult at best. There where several rocks to seek shelter if it got windy as well. As each wolf came into the little clearing they would find that their paws became heavy and tired with fatigue from the travel and there rest for the night. Each wolf taking their place where they thought was most comfortable. * Fianna would reach the clearing, feeling sheltered from a bit of the wind and such as well. She would release a long breath, glad to stop in the end for her ribs needed a break, even though they were healing. Settling down just to Ayaka’s right dhe would press against the base of a large and wisened tree, listening to the breeze sway the branches. The place reminded her of her birth, of the old growth and ancient trees. Her heart ached for her family as she remembered, and it woult take her some time, though tired, to fall asleep. 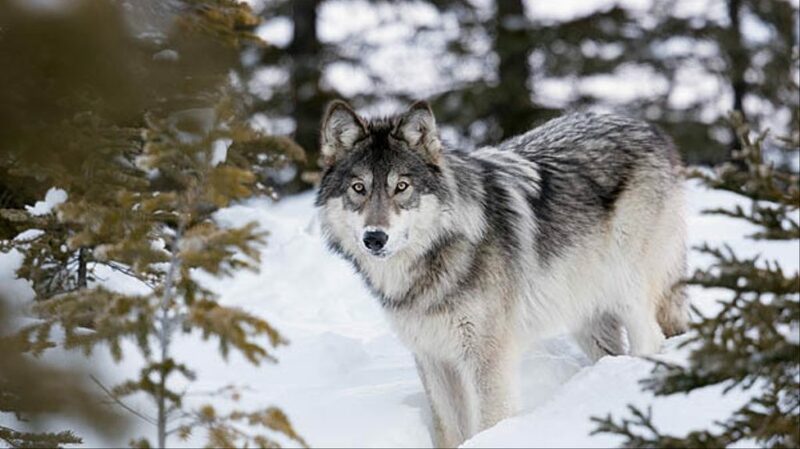 * Kova would come to the rear and wait until all the wolves made it safely. She would dip her head to Ayaka and smile, nuzzling her fondly back in return. “Aye, but you’re doing just fine. We’re a family and strong together as one. I think this really highlights that. I don’t think many packs can work this way together without their leaders.” she would nose her again “We are confident in them that we know they’ll return to us safe and to lead us again.” she would find herself a nice seat beside a tall birch and some stones near the ‘entrance’ to the clearing. She would take up sentry there. The rock just concealed by the fifth tree from the right looks comfortable. On the side opposite of the winds as they are right now would be where Kajika would lay down to rest, or wherever he could see as much of the pack as possible.